How amazing is Kristen Stewart's makeup here?! I love love LOVE it, and as promised, here's a how-to for Kristen Stewart's makeup look at the MTV Movie Awards. One of the key aspects to this look is the smoky eye - and the way to play it up is to keep the rest of the makeup very neutral. P.S. Here is a great video on how to find your crease - for Asian eyes. Then, take a shimmery gold shadow (I like Clinique's "Lucky Penny" - it has a pinkish undertone - selling for USD 9.99 on eBay) and lightly layer it on top of the black eyeshadow. You can also try Revlon's Molten Metal Liquid Eyeshadow in Gold Digger (AUD 11.95 + AUD 4.05 postage) or Platinum Pinup (GBP 2.50 + GBP 2.70 postage). 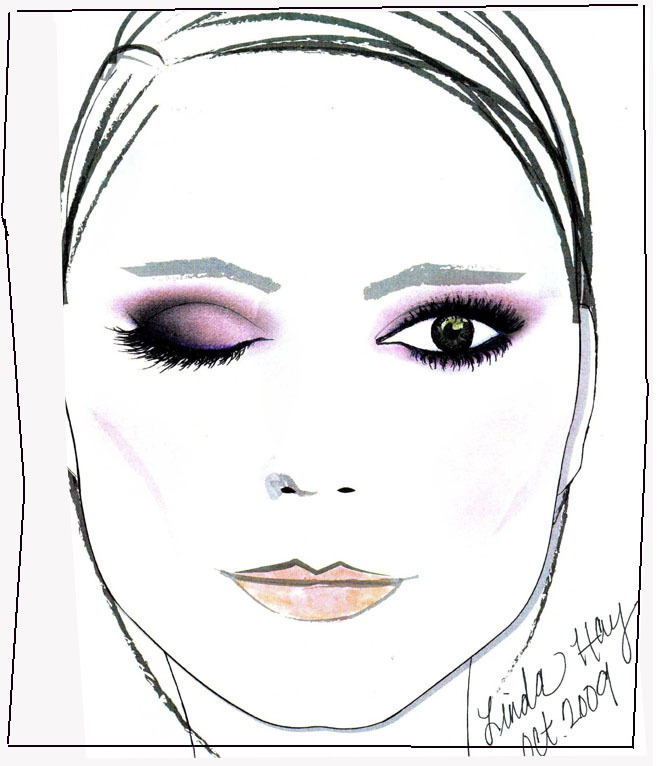 Using a blending brush, blend the edges of the shadow at your crease to soften the lines of the eyeshadow. You do this by sweeping the brush back and forth from your inner eye to your outer eye and back again, until the colour at the edge of the eyeshadow looks softer. Now, take a medium brown colour, and apply it to your crease, just above the edge of the dark brown and gold shadow already on your lid. Then, take a darker brown colour, and apply it to the outer-'V' of your eye. 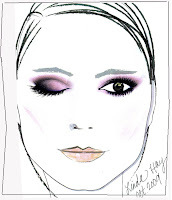 As a little guideline, the dark purple in the face chart below shows you what/where the outer-V is. Using your blending brush, blend again until all lines look soft, and the edges of the eyshadows blend seamlessly into one another. There should be no harsh lines. Using an eyeliner brush, apply cream eyeliner on your upper and lower lashes. Apply 2-3 coats of mascara to curled eyelashes. For the lips, try Jillian Dempsey for Avon's Professional Multi-Pencil in Twice the Spice (GBP 4.50 + GBP 2.20 postage). Layer the lighter colour onto your lips. Smile, and apply the blush onto the apples of your cheeks, working up towards your temple.